The discounted price — part of a moderately-sized sale Amazon is putting on today — represents a saving of $70 off the pack's usual $289.99 price tag, and it's the cheapest we've seen it. 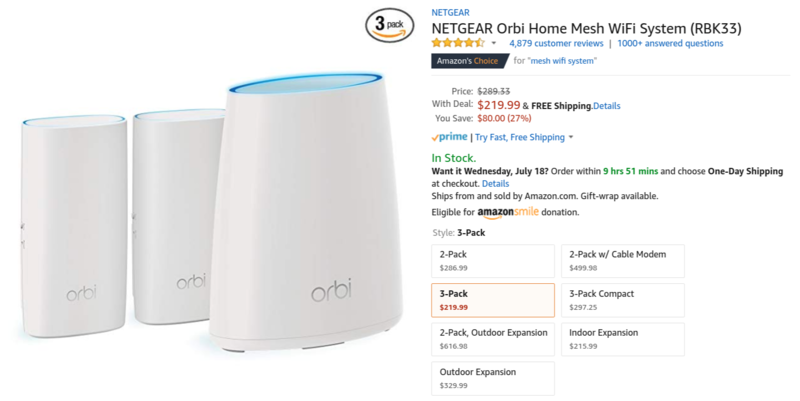 The set of three routers can blanket an area of up to 5,000 square feet in Wi-Fi coverage. Bonus perk: they aren't angular black boxes with flashing green lights you'll feel the need to hide in a closet. The deal is part of Prime Day, so it's limited time. And of course, you'll need to be an Amazon Prime member to take advantage.